Very happy with these leggings which, for a change, are actually long enough for my legs. 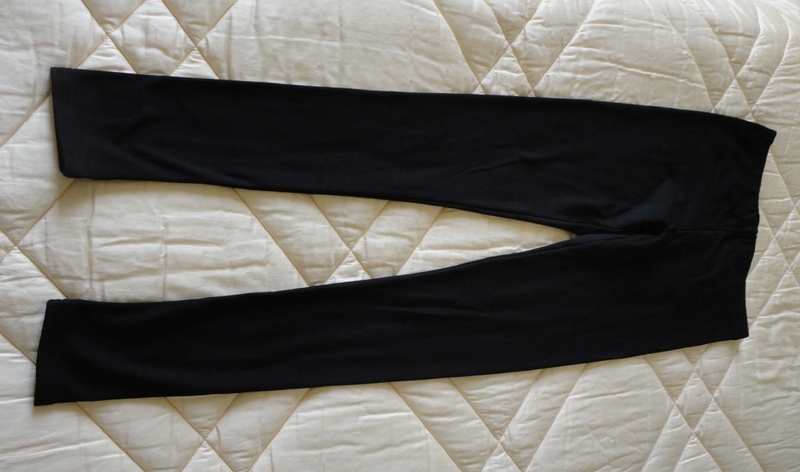 I'm 5'8” (1.73 m), not exceptionally tall but, somehow, I have trouble finding leggings that cover the ankles. 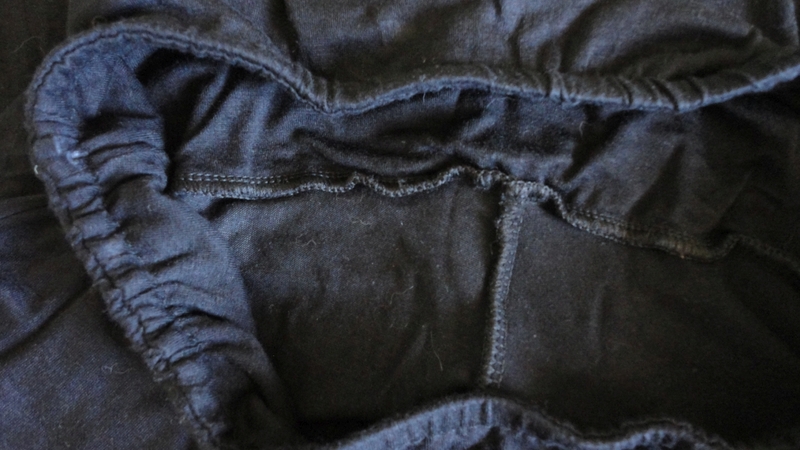 I received a sample pair for an independent evaluation, and when I tried them on, was very pleased to see that a size S/M is just about perfect for me. The other available size is L/XL and might have been just as good but I went with my waist size and they fit me like a second skin (my usual dress size is UK 10), US 8, French 38. They don't quite reach my waistline but I find them really comfortable to wear, all day, with a long sweater or loose top. They look good with just about anything. 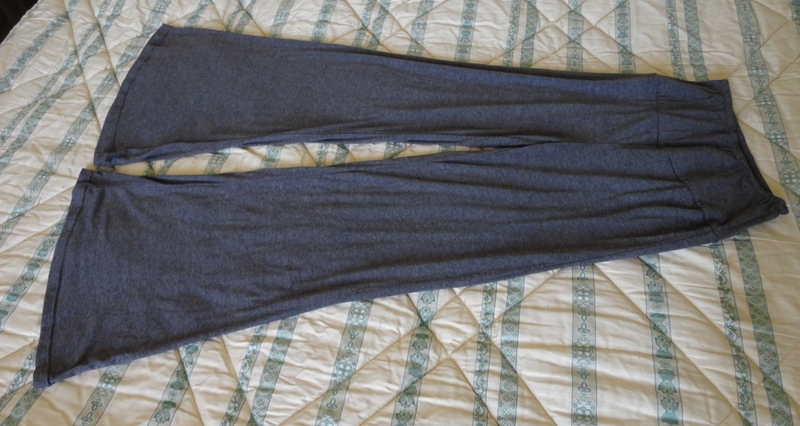 I got them in Black and they are a nice thickness, not exactly thermal like fleece, but warmer than some others I have. Actually quite dressy and they have a nice bit of stretch, the knees don't get baggy after I've been sitting for a while. Easy to wash, I used a cool setting and they did not shrink at all. Despite the low price, finishing and stitching are very good. If they had them in dark blue, I would certainly buy two or three pairs. 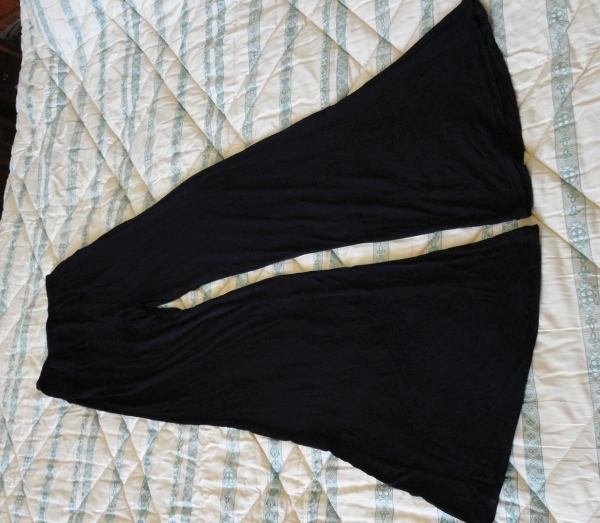 These loose and flowing trousers were sent to me for an independent evaluation and review, and I was quite shocked to see that they are almost too long for me. I normally have trouble finding trousers that are long enough for my legs, although I am not exceptionally tall (5'8” or 1.73 m). I have to say that they probably sent me the wrong size (3XL, when so far I have found that with this brand a Medium fits me well). I normally wear a UK size 10, US size 8, French 38. According to the size chart an XL or XXL would have been more in line with my hip measurements, although my waist is on the small side. Anyway, the fabric is elastic and very comfortable to wear. It's a lightweight jersey type cotton blend, super soft and flowing, and quite thin. They are cut immensely large, with an extreme bell bottom shape so, if you dislike restrictive garments, you will love these. I am very happy with the way they feel, they are extremely comfortable, breathable and are perfect for the shoulder season, not too hot, not too cool. 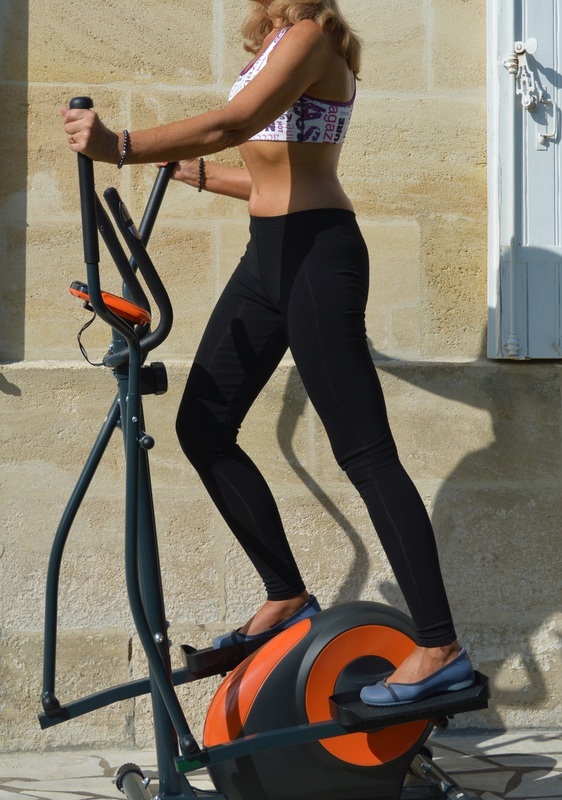 I find them perfect for lounging around and very comfortable for working out and yoga, but the extremely wide legs may get in the way of more active sports. I got them in black and I find that they also work for casual outings, shopping trips, etc. depending on your personal style. I like the very high waist, which makes them easy to pair with a lot of different tops. Despite the low price, finishing and stitching are good (see my detail photo). I found a few loose threads but they were easy to snip off. The care tag is pretty standard: Wash below 40°C, hang to dry, low iron, no bleach. They wash well, and for my purposes, I didn't bother to iron them. These are perfect lounging attire and very comfortable for working out and yoga, but the very wide legs may get slightly in the way of more active sports. They would also work for casual outings, shopping trips, etc. depending on your personal style. They have a very high waist, which I happen to like, and can be worn with a lot of different tops. Out of the three colours available, I chose the grey, a lovely neutral shade that goes with almost anything. The stretchy, elastic fabric and loose cut accommodate a lot of body shapes but it's still worthwhile to try and get the correct size, even though it may sound staggering. I normally wear a UK size 10, US size 8, French 38. According to the size chart's hips measurement, this size XXL was the best fit, although my waist is a lot smaller, but I am very happy with the way they feel, they are extremely comfortable, breathable and are perfect for the shoulder season. Well, for a change I can say that these casual pants are actually long enough for me. At 5'8” (1.73 m) I'm not exceptionally tall but often have trouble finding trousers that are long enough for my legs. I received a sample pair for an independent evaluation and review, and I was very surprised when I tried these on and found that they are actually just about right. The size may have something to do with it (I was sent an XXL, when so far I have found that with this brand a Medium fits me well) but, considering that the waist is very comfortable, it has worked out fine. The fabric is a lightweight jersey type cotton blend but super soft and flowing, and the cut has a lot of drape. It reminds me of the bell bottoms of my carefree youth. Despite the low price, finishing and stitching are good (see above). 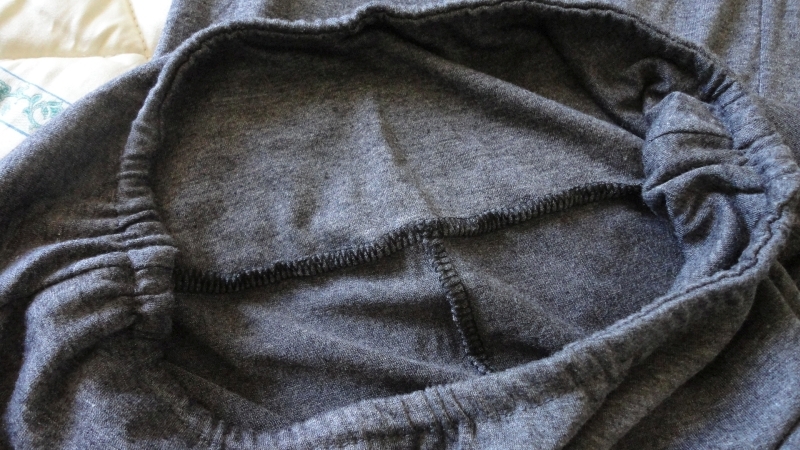 There was the odd loose thread but you can snip it off in a second. The care tag is pretty standard: Wash below 40°C, hang to dry, low iron, no bleach. They have not shrunk after washing, and for my purposes, I don't even think they need any ironing.